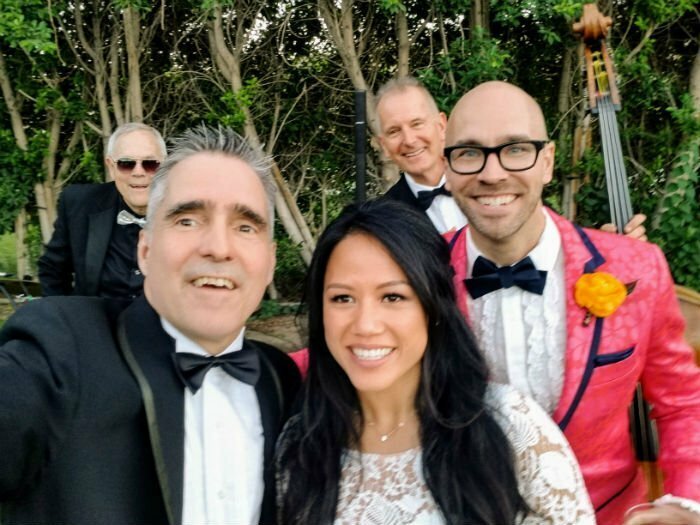 OK, so this weekend I played with this awesome wedding ceremony music trio Los Angeles. Factually, we played for the Ceremony and Cocktail hour. And also, truthfully, it was in Palm Springs and it was awesome! And it was such a fun one to do. I thought it would be nice to do a post about it. It was a trio gig, booked by the drummer. But then, when it came to the wedding ceremony music trio we wanted more discussion. So, I ended up calling and otherwise coordinating with the Groom several times. And voila, we worked out the songs between him and the bride and me. One cool thing, I really let them know that any song was possible for the wedding ceremony music trio to perform. It’s totally personal. And, the most important thing is what songs are super meaningful and awesome for the Bride and Groom.
. And, they ended up using a mix of classic songs with some that I have not often played for a ceremony. “I’ll Be There” and “In My Life” were both used in the processional. And really worked well. But honestly what made it totally smoke was that they just really picked the songs that they wanted and we just did them. And then ceremony wise we started the ceremony playing super-cool jazzy/classical covers of love songs before the service. Then for the ceremony we did solo piano and added upright bass. And then full band…for The Recessional. Wedding Ceremony Music Trio Cocktail Hour! And then we ripped it into jazz tunes for the cocktail hour. And ran the gamut from Jazzy Maroon 5 to Frank Sinatra and even threw in a pretty lively if not slightly vert the top version of Hotel California for the rockers! It turned out really well. The guests really liked it and it bumped up the cocktail into quite a festive atmosphere. And, the fact that the person who requested Hotel California was the father of the bride, now that was cool too! 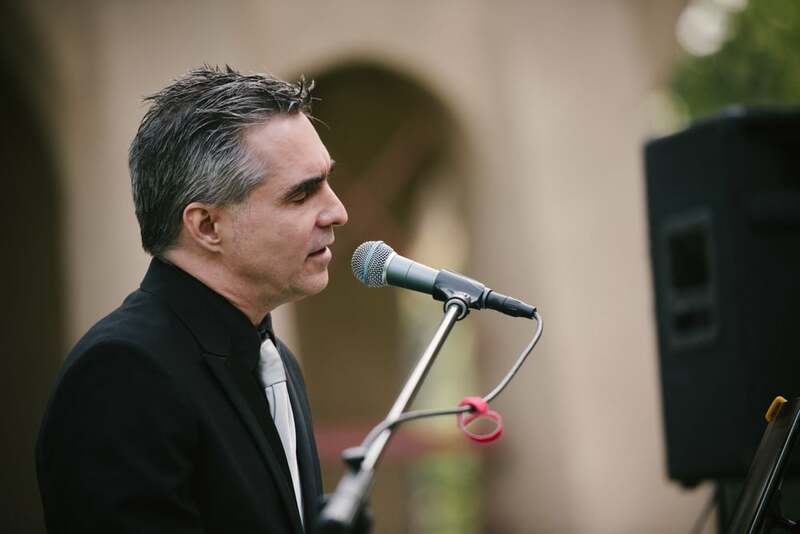 Book Wedding Ceremony Music Trio Los Angeles! 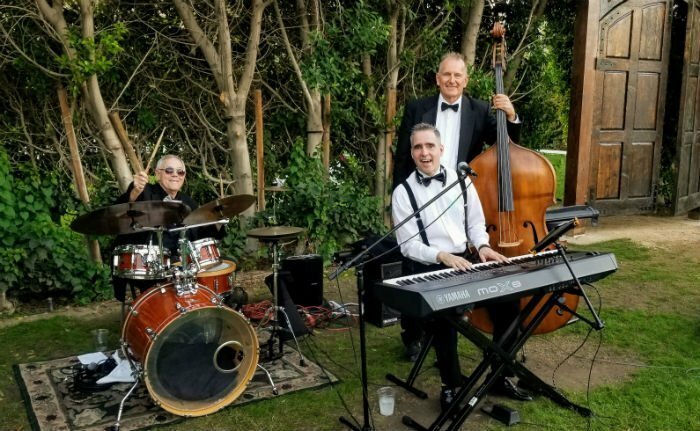 A jazzy trio or a rocking trio can give you a lot more possibility for the service and the cocktail hour. Booking-just fill out this form. Please check out the Reviews on Yelp too.